Home Articles Is That A Gun In Your Pocket? Did you know that in 1987 the state of Florida issued the first concealed firearms permit? Ever since then we’ve been trying to perfect the whole “concealed” part, which includes making smaller and smaller firearms. These days there’s an endless array of pocket guns such as the Kel-Tec PF9… the Glock 26… the Kahr PM9… and the snub-nosed revolver, to name a few. But just because a gun is small enough to fit in your pocket, does that mean you should carry one there? Well, the advantage of pocket carry is that it’s comfortable. You don’t have a gun on your hip or strapped to your ankle that might cause you a bit of discomfort. Secondly, if the hair raises on the back of your neck and you feel like you’re in a dangerous situation you can reach in your pocket and have your hand on the gun without anyone being the wiser. Unfortunately, in my opinion, those are the only advantages of pocket carry and there are a lot more disadvantages. First off, it’s tough to draw a gun from your pocket while sitting down. Just try reaching in your front pocket and pulling out a large object while you’re driving. It’s not easy to do. Next, and the biggest problem of all, is the gun itself. The itsy bitsy guns that fit in your pocket are obviously more difficult to shoot and have a heck of a lot more recoil. Plus, there’s the confidence factor. If you’re ever in a gunfight and your life is on the line, do you want to draw a tiny gun from your pocket that’s more difficult to shoot? If you can honestly answer yes and have practiced with the gun, then go ahead and carry it. However, if the thought of drawing a Seecamp .380 from your pocket makes you shudder, then find a gun you’d be willing to bet your life on. If you do find that gun, then always use a pocket holster. 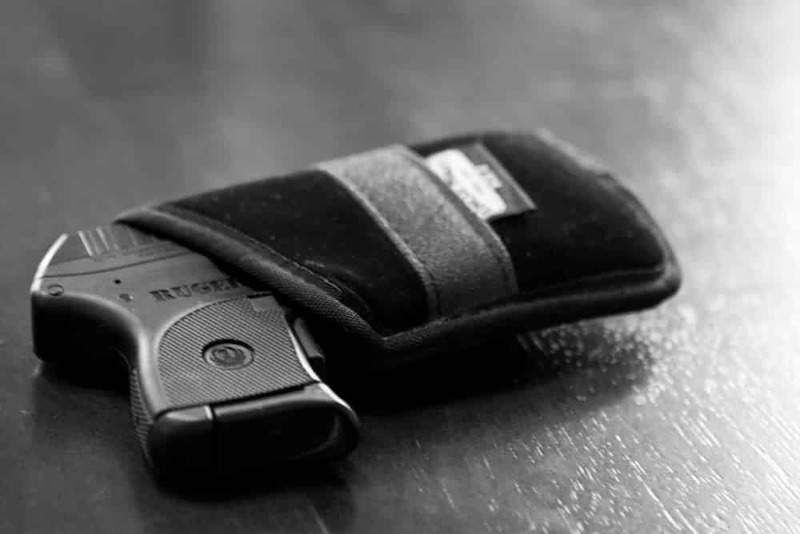 Never, ever carry in your pocket without one because something could get in the trigger, plus the gun could get all kinds of gunk and lint in it. Also, practice drawing from your pocket in front of the mirror. You’ll quickly realize that you have to have your hand flat (in a pear shape) to get in your pocket… you’re not going to be able to have your hand in a fist. Lastly, make sure you’ve got the right type of pants on. Most jeans pockets are too tight and you’ll have a giant bulge in your pocket. You’ll likely have to wear either Khakis or some type of cargo pants. Of course, before you stroll out of the house make sure you don’t look ridiculous and or that the world can tell you’ve got an abnormally large object in your pocket. That brings me to my final point. I know this is common sense, but since there are a lot of knuckleheads in the world, pocket carry is for pocket guns. In other words, if your full-size 1911 is protruding from your pocket, it doesn’t qualify as pocket carry.